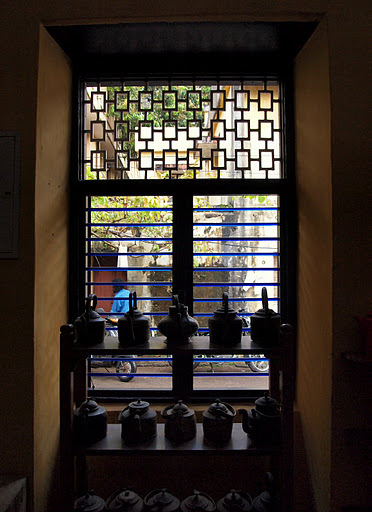 One of our favourite eateries while we were away was – Teapot – in Fort Kochi. It was great for tea and cakes especially, but they also serve breakfast and snacks. We loved this place and visited three times in five days! The décor is so rustic, crammed with allsorts of tea paraphernalia, crates, pots, cups, saucers, boxes, cabinets and shelves full of unusual teapots shaped like Cats, Henry VIII, Elephants and much more, as well as colourful metal coffee pots. The walls are painted a mustard yellow which warms the place, blue glass bars cover the windows. 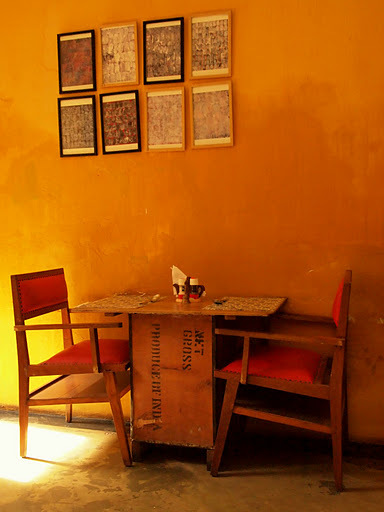 The wooden seats with red leather padding and tables made from wooden tea crates really give the place a cosy feel. The ceremony of tea drinking was such a perfect experience, it was a charming place to relax. 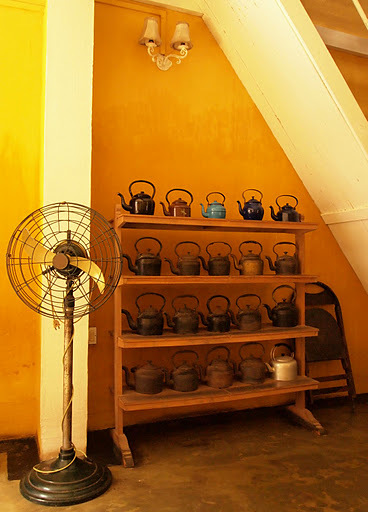 Gallery | This entry was posted in India, Photos, Wedding and tagged Cafe, Cochin, Food, Fort Kochi, Honeymoon, India, Kerala, Photos, Teapot. Bookmark the permalink.